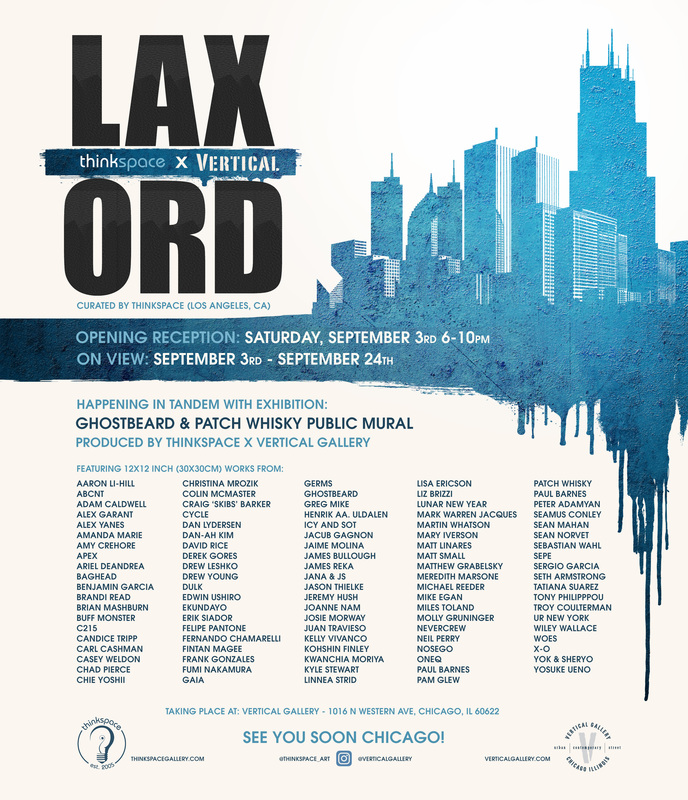 (Chicago, IL) – Opening September 3rd at Vertical Gallery, Chicago, is LAX/ORD, a group exhibition showcasing new small format works by some of the most relevant and exciting artists working in the New Contemporary Art Movement. Connecting the West Coast art scene to that of the MidWest’s, this survey exhibition will feature local and international artists curated by one of the movement’s most active and respected proponents: Los Angeles’ Thinkspace gallery. This collaborative presentation with Patrick Hull’s Vertical Gallery is Thinkspace’s tenth iteration of its successful traveling exhibition series, and will be the largest presentation of New Contemporary art ever to take place in Chicago. 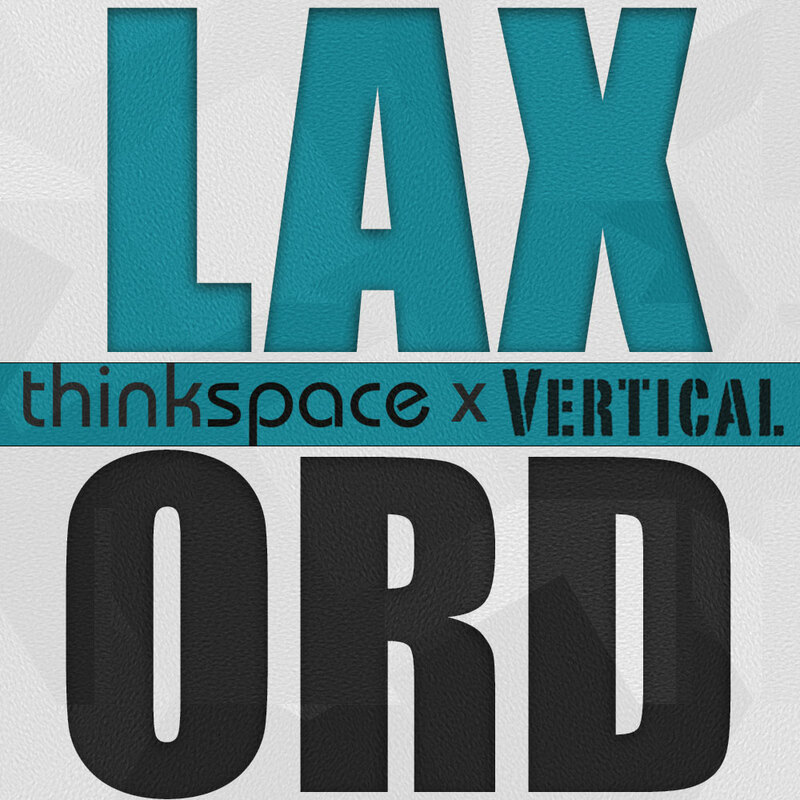 Featuring 12″ x 12″ small format works by nearly one hundred individual artists, LAX/ORD is broadly curated by Thinkspace’s co-founder Andrew Hosner. This comprehensive exhibition is meant to capture the diversity and dynamism of the steadily growing New Contemporary Art Movement, bringing the largest representative cross-section of its burgeoning international community to the MidWest for the first time. In addition to the ambitious gallery display, a site- specific mural collaboration between Ghostbeard and Patch Whisky will be presented in tandem with the exhibition. “With roots firmly planted in illustration, pop culture, comics, street art, and graffiti, put quite simply the New Contemporary Art Movement is art for the people,” said Thinkspace co-founder Andrew Hosner.